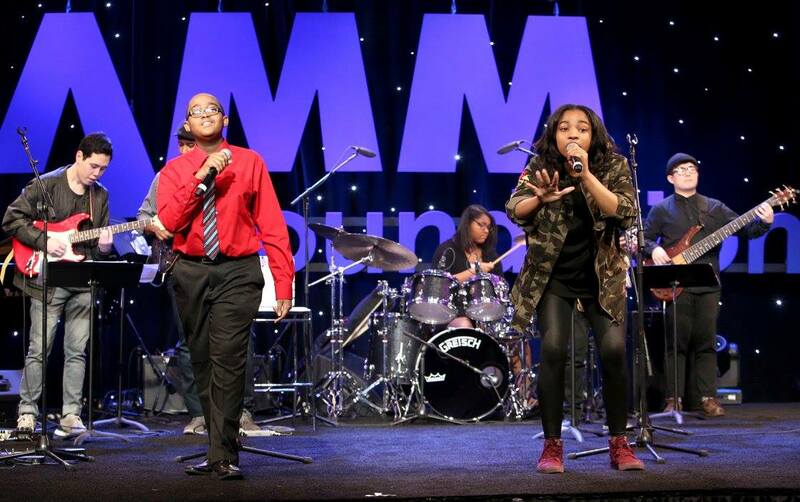 The Grand Rally for Music Education on Saturday, January 27, at The 2018 NAMM Show celebrated the “unbreakable” voices behind music education in schools. The NAMM Foundation’s annual salute to music education welcomed NAMM members, music educators, college music students and faculty to join together in celebration of the benefits of music education. As the doors to The Grand Rally were opened attendees were welcomed with performances by the Manhattan School of Music Electronic Jazz Ensemble. “These kids from [Country Club Hills District 160] were total pros at the [Grand] Rally. Chills!” Henry Donahue, executive director of VH1’s Save The Music Foundation, tweeted. 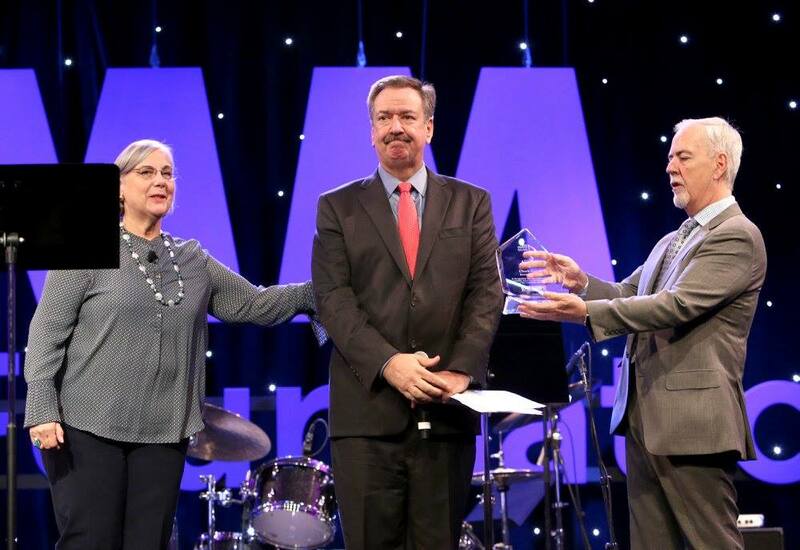 Terry Lowe, publisher of Musical Merchandise Review and School Band and Orchestra magazines, took to the stage with Mary Luehrsen, executive director of The NAMM Foundation, to present the Don Johnson Award to Chuck Surack. Surack is the founder and president of Sweetwater Sound and serves as Secretary Treasurer on the newly-formed NAMM Foundation board of directors. 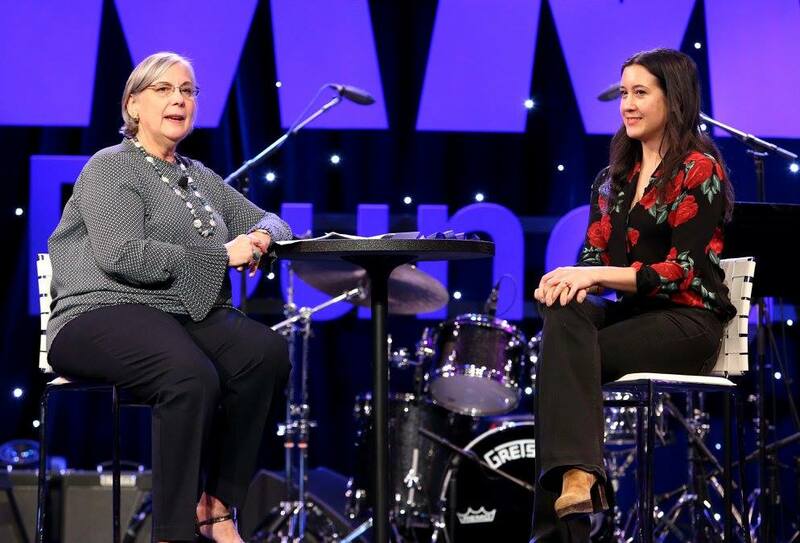 The Grand Rally continued with an "inside the practice studio" interview with Grammy-nominated, singer-songwriter Vanessa Carlton. Carlton was also honored with a SupportMusic Champion award for her ongoing efforts to keep music education strong. The second half of the Grand Rally had people on their feet as the FORTE Tenors took to the stage and performed several of hits, including an emotional cover of “Free Fallin’”by the iconic rocker Tom Petty who passed away in 2017, to an awe-inspired crowd. The event ended with all of the artists gracing the stage for a photo opportunity- an incredible ending to honor and celebrate the many faces of music education. The Grand Rally for Music Education was hosted by the Executive Director of The NAMM Foundation, Mary Luehrsen. 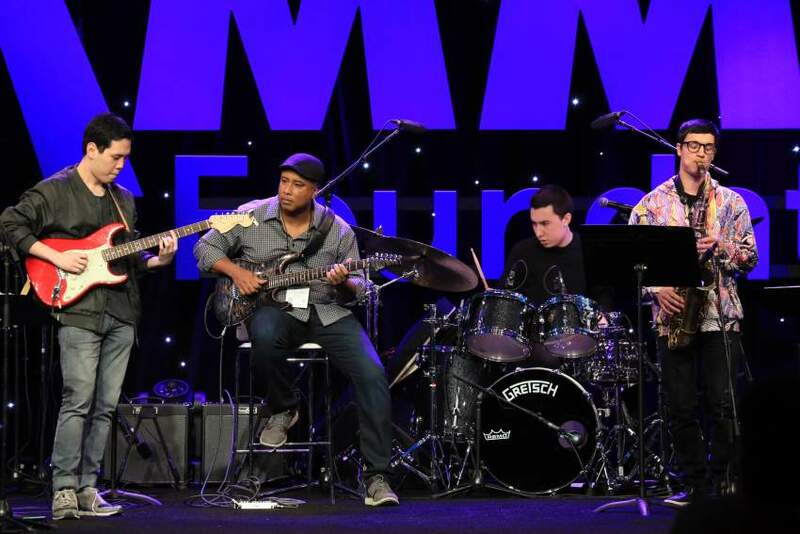 Video footage is available on The NAMM Foundation’s Facebook page. Photography by Jesse Grant/Getty Images for NAMM and Megan Nelson.